St. Patrick’s Day is on March 17th. Did you know that St. Patrick was not Irish? He was originally from Wales.St. 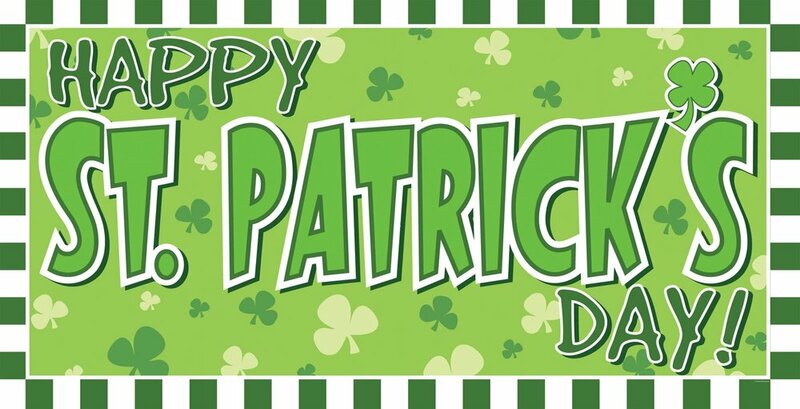 Patrick’s Day is the national holiday of Ireland. St. Patrick’s Day has become a popular holiday in the United States. In Chicago, the Plumbers Local 170 Union dyes the river “Kelly” green. The dye lasts for about five hours. Did you know for many years blue was the color most often associated with St. Patrick, and that green was considered unlucky. Every year, the Irish leader hands a crystal bowl of shamrocks over to the U.S President. The shamrock is grown in Kerry and is destroyed by the Secret Service after the exchange. Did you know St. Patrick wasn’t named Patrick?His birth name was Maewyn Succat. So, when you wear green on St. Patrick’s Day don’t forget who it was named after.